Wow! It's already February!! Time for Currently again with Farley at Oh' Boy 4th Grade!! Always fun to learn what other teacher bloggers have been up to!! 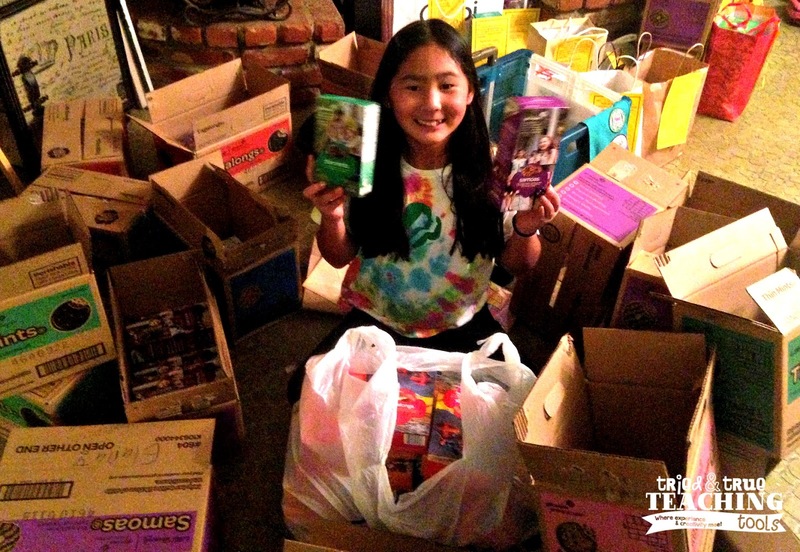 Listening: It's that time of year: Girl Scout Cookie season!! Today is the first official day our Council can sell cookies so Becca is hustling!! Her dad took her around the neighborhood with a cart full of cookies and she really worked the phones calling friends and family! At the end of Day 1, she has sold 200 boxes, including 36 Gifts of Caring (charitable donations to send cookies to soldiers overseas)!! Loving: my girlfriends!! 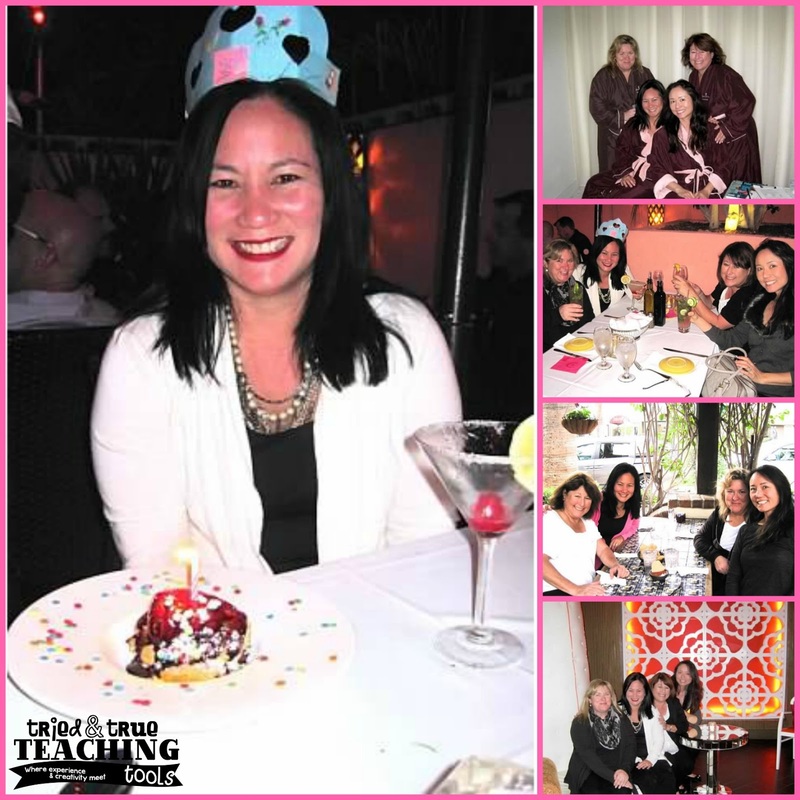 I turned the BIG 5-0 last Monday, and I've had three phenomenal and amazing weekends!! I have the sweetest (and most well-organized!!) friends and family!! 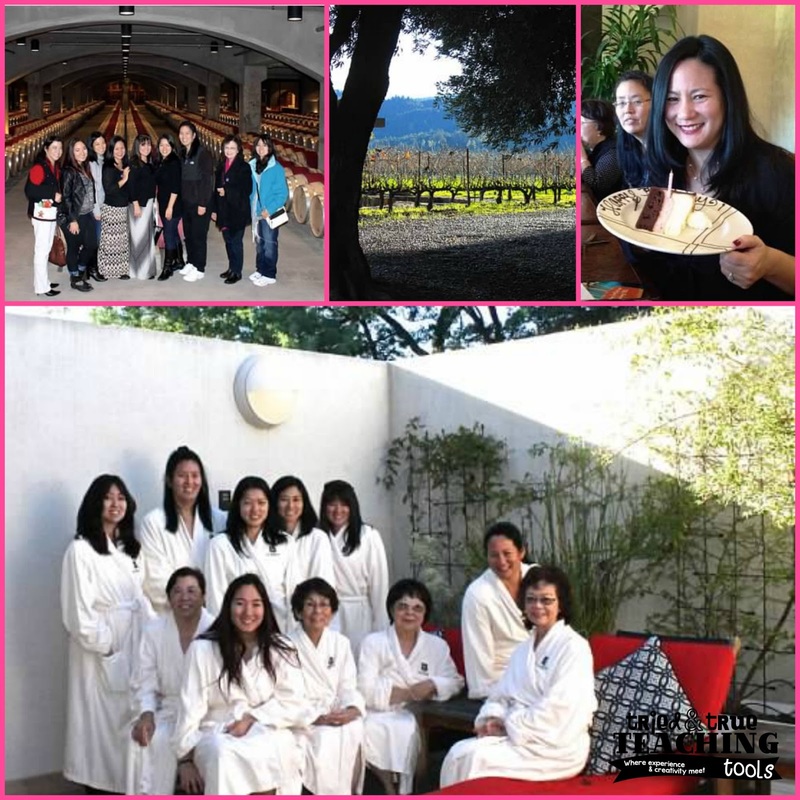 My first celebration was in Napa Valley with my mom, aunties, sisters, and cousins. They planned a spa day, followed by lunch, then a winery tour and tasting at Mondavi Vineyards. Next was a getaway in Palm Springs with my teaching buddies of 28 years!! Spa time and lots of yummy meals!! And then this weekend, I just got back from Ojai with my "sisters in faith"! 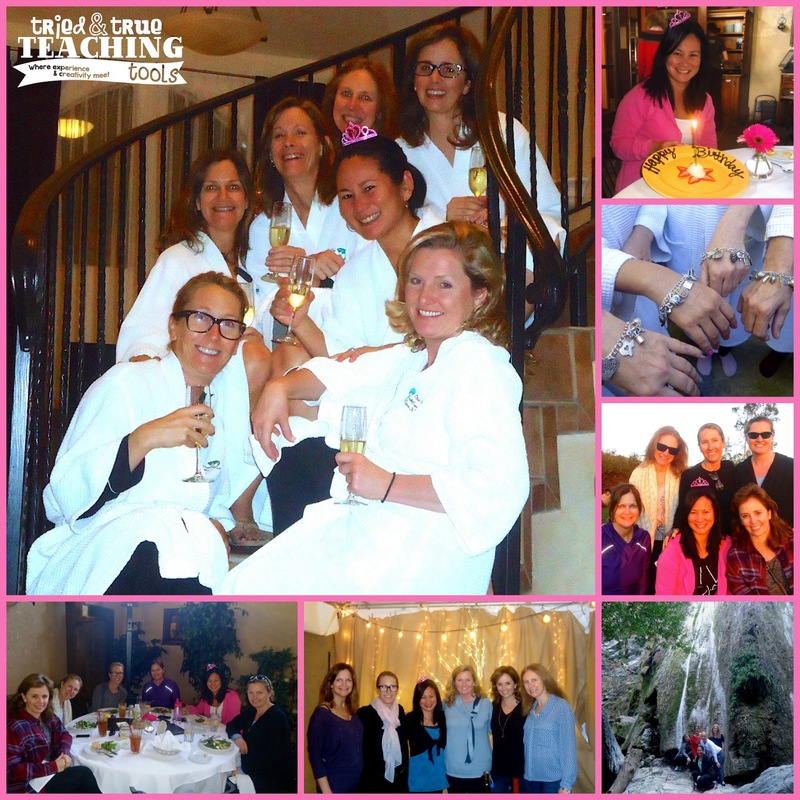 It was a fun-filled weekend with pampering, wine & cheese tasting, and letter boxing! Thinking: I'm getting a new student tomorrow; not the ideal situation mid-year. But looking at the bright side of things, he'll help to make my class an even number: 32; always easier when pairing up students! Needing: to finish lesson plans. It's Sunday night. Need I say more? 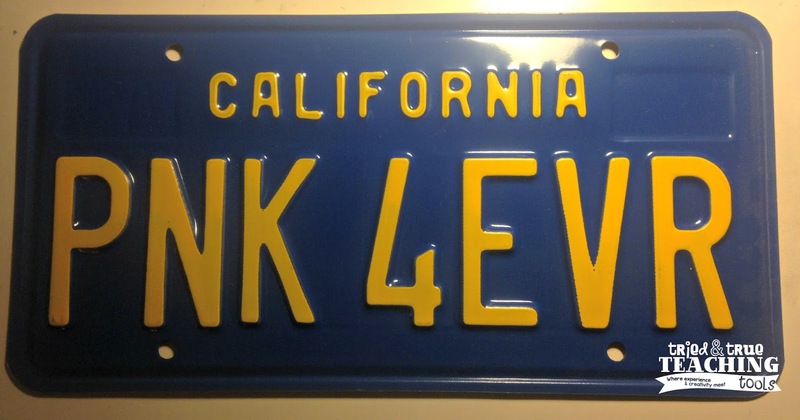 Pageant Title: My first car's license plate was PNK4EVR: pink forever!! Never mind that my Toyota Corolla Hatchback was blue. . . and I did have to correct people when they thought it was PUNK forever (this was the early 80's!!) 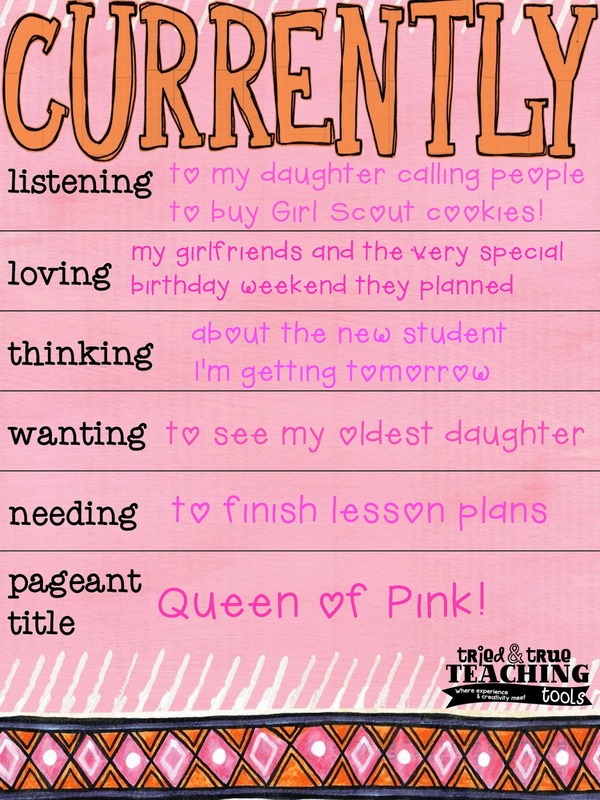 But I do LOVE pink! It's such a happy color! Yes, I DO still have my license plate!! Thanks for stopping by; be sure to check on the button below to visit more teacher bloggers! Happy February! Thanks! So glad you'll be following! I am so jealous of your wonderful spa trips, looks like so much fun! Good luck with your new student! That license plate is classic, I definitely would have rocked it on my first car too! Spas are addictive :) Thanks for stopping by!